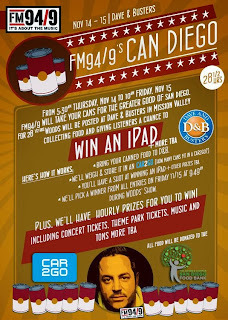 San Diego, CA - November 4, 2013 - FM 94/9's Award-Winning food drive, CAN DIEGO, is back for another year and this time, it's BIGGER and BETTER! 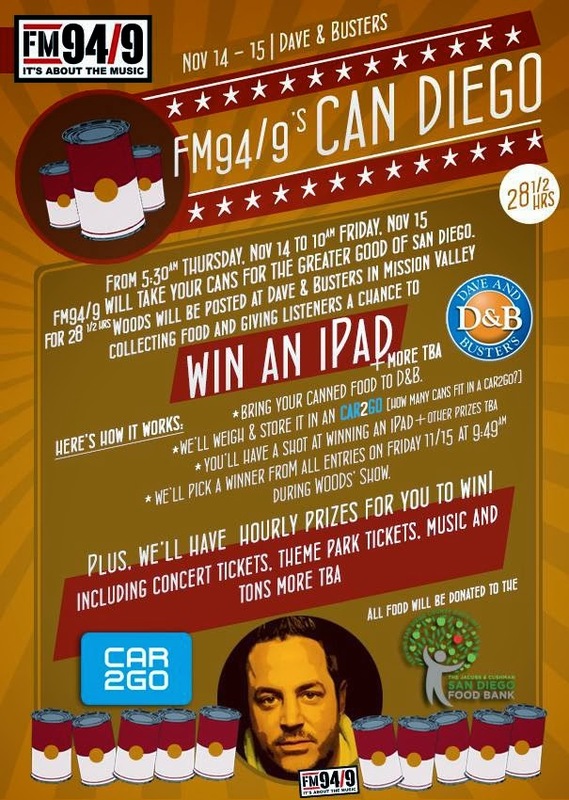 Steve Woods and FM 94/9 will be at Dave & Buster's in Mission Valley for 28 1/2 hours collecting food donations for the San Diego Food Bank and giving out HUGE prizes like an iPad Mini and a trip to Mammoth! From 5:30am on Thursday, November 14 to 10am Friday, November 15, 2013, Woods will be stationed inside a Big Box Store Container broadcasting live and hanging out with listeners who stop by to donate non-perishable food items for the needy this Thanksgiving season. There will be hourly prize drawings and two grand prizes: an iPad Mini and a trip to Mammoth! Everyone who donates food for the San Diego Food Bank is qualified to win! 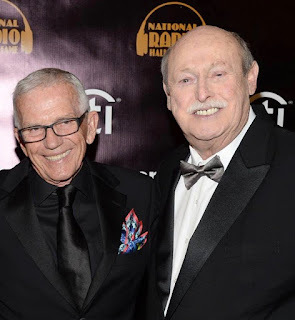 The Grand Prize drawing will be held at the end of the broadcast on Friday, 11/15/13. Car 2 Go will be onsite with a couple Car 2 Gos and FM 94/9 will be stuffing them with canned goods to find out how much food can fit inside one! FM 94/9 will also give listeners a chance to guess at those amounts for even more chances at great prizes.